Our company is the Leader in Business Immigration into Belgium. We will help you obtain a Residence Permit (leading to citizenship) in Belgium by means of Business Immigration. Since 2011 we have helped dozens of high quality clients like you to move over to Belgium. Belgium has the most straight forward citizenship rules, and the most democratic criteria to obtain the citizenship (passport). 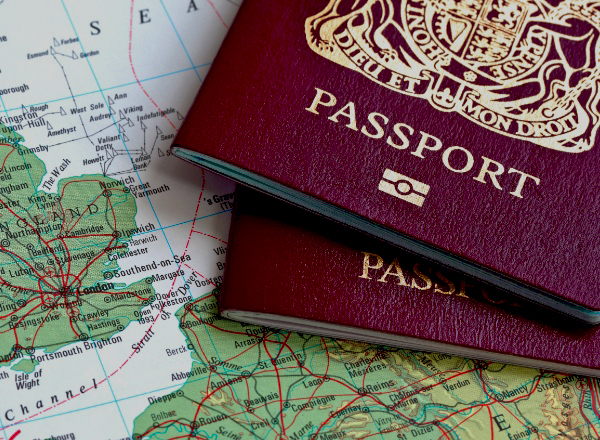 None of the ‘golden visas’ or investor visas in other European countries will lead to passport (citizenship). We will help you obtain a residence permit leading to passport in Belgium through business immigration. We will help you to prepare all the documents. If you have relevant work experience (Higher Education and/or Management/Owner experience), we can help you to start a business and to obtain a Belgian residence permit. To learn more about our fees please fill in the form here. The government fees are 350+140+100 Euros at the submission of your application, 180+150 Eur upon receipt of the Professional card and the Residence Permit. A Notary will charge 1200 Eur for your company set up, which is normally possible after you have settled in Belgium. A Belgian residence permit can be obtained by a citizen of any country in the world if the application requirements are met. It will be valid for the duration of the Professional Card +2 months, the latter normally given for the period of 2 years. Where Do I get my Professional Card, Visa D and the Residence Permit (PR or ID)? Professional card and your Residence permit are issued by competent Belgian authorities. Our job is to prepare your file and help you prepare for the process. We will ensure you have received your Residence Permit. Once your Professional Card is approved, the Embassy of Belgium will issue you a Visa D, multiple entry, for at least six months, allowing you to enter the country and to apply for your PR (ID). This will take a few days. Your Residence permit gives you and your family access to high-quality medical services and to free schooling in local languages. We guide you till you have received your Residence Permit in Belgium. You will have to maintain your company in good standing just as you would do in any other country, including UAE or Qatar. On top, you have to submit tax declarations on a regular basis etc. You should have an adequate turnover, and your activity must be in line what has been projected. You will have to request a renewal of your RP (residence permit) every other year, normally for another two years. The conditions for renewal are absence of debts and regularity of reporting, as well as certain economic activity (for the first renewal you should show you have started doing something). You are not obliged to hire locals though this helps renewal, if you have created at least one or two jobs. After five years you are able to demand the indefinite residence permit, which will not be dependent on any work permit or authorization, and you can immediately demand the Citizenship. The key criteria are: Residence permit of indefinite duration, legal presence in the country for at least five consecutive years (i.e. be registered at an address in Belgium-you don’t need to spend all this time in Belgium), working for at least two years and social integration. Whilst there is no need to pass a language exam of a certain level you should be able to navigate in the 200-300 daily words of French or Dutch. You will receive a response on your application for the passport normally within four months. If you are refused then you can find an appeal. You have other instances (key points) when you can re-introduce your application for the citizenship: after seven and ten years of consecutive legal presence in the country. The latter is the time when you will be granted the citizenship by default. You will not need to renounce your original citizenship and you will not be demanded to serve in the army. For all inquiries please call +32 2 888 62 88 or WhatsApp +32 474 433 535 or contact us by e-mail. For a detailed discussion please provide us with your detailed CV with description of your business and managerial experience, your academic qualifications. Greece, Portugal, Latvia offer residence permit based on you purchasing a real estate. This is a good way if you only care to have a residence permit, which will never turn into Citizenship. Lithuania has a similar start cost but it is more expensive to maintain as you are obliged to hire locals and pay them salary. You also will not be given neither permanent residence nor passport until you have passed the exam in the Lithuanian level B1 (good intermediate level). Fast family reunification at any moment. Possibility to obtain fiscal Non-Resident status to avoid having to report worldwide income. Great medical care and other advantages of a successful nation for your taxes.